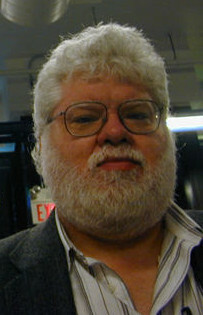 Ben Bates served as the first Treasurer of AoIR from 1999 to 2005. He was not only one of the first to step up and volunteer his time to AoIR in 1999, but he was also one of the first to spread word of it at other conferences that he went to, such as AEJMC (the Association for Education in Journalism and Mass Communication). He went to that organization’s meeting in New Orleans and talked to attendees about AoIR and encouraged them to join. He handled the finances and membership in the early days, using a system that had to be built from scratch as it was in an era before PayPal and other convenient online payment systems. His contributions to the association were also manifest in the many AoIR executive committee meetings and discussions in which he participated and to which he lent his wisdom and expertise, particularly with regard to creating a stable financial base from which the association could operate. He continued to attend AoIR conferences and participate in them for many years after he stepped down as Treasurer. He was a careful steward not only of AoIR but also of his friendships and will be missed by many in AoIR. Thank you to Steve Jones for providing these words of remembrance.